The front entry of the Avalon panelized kit home opens directly into a substantial living room featuring a vaulted ceiling and a respectable view of the back porch and yard through three large windows. Adjoining the living room, the spacious family room offers access to the kitchen and dining room, oversized laundry room, full bath, and garage. A central island and plenty of counter space emphasize the sheer size of the Avalon’s kitchen. 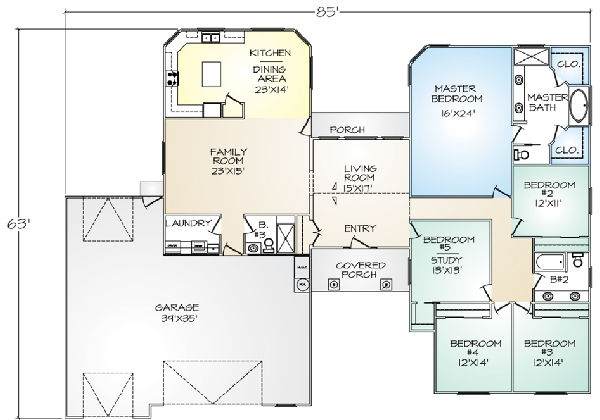 The master suite offers a private bath and two separate walk-in closets, while any of the other four bedrooms can be easily modified as a den, home office, or music room. Nine-foot ceilings provide volume to the Avalon. 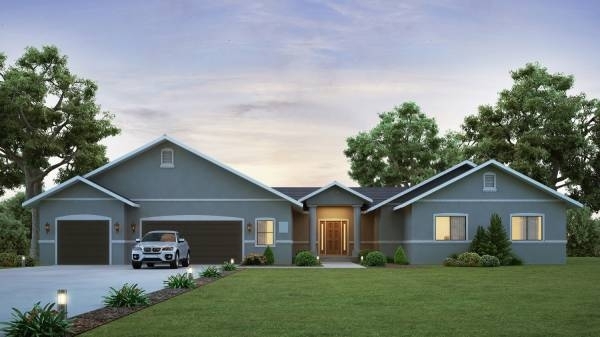 The large three-car garage has ample room for a hobby area or extra storage, and features the ability to drive through to the backyard.